This Tuesday afternoon at Gillis Br. (4:30-5:30 p.m.), you can learn how to create a reusable screen and print your own design on a tote bag. 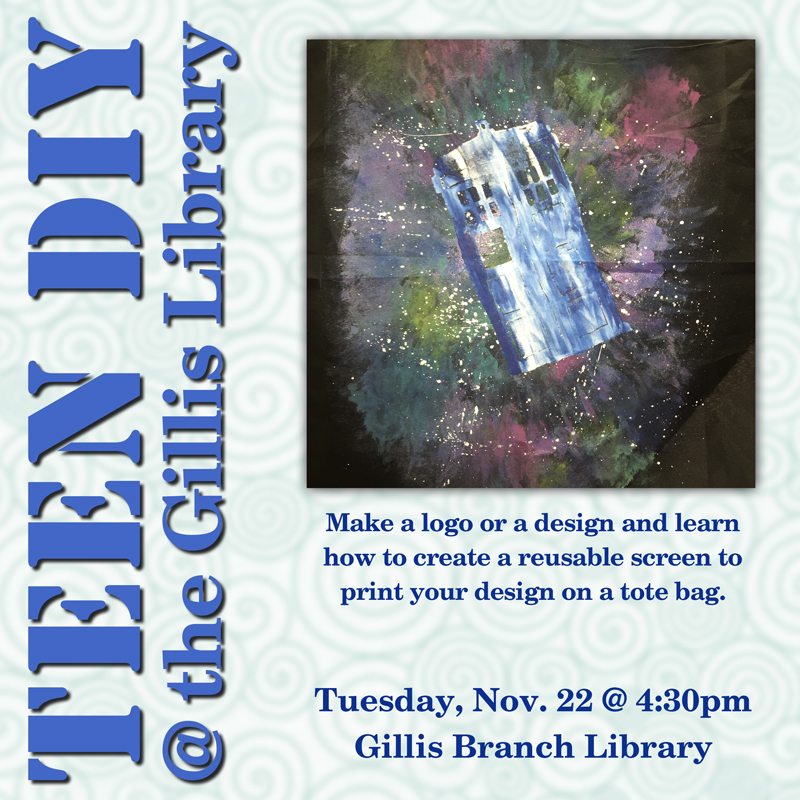 Practice your screenprinting at the branch, and then take your new screen home to customize t-shirts, sweaters, and more, and make fun, inexpensive gifts for friends and family!